The holiday season is typically a busy season for hackers and malware developers. With increased activity online because of online shopping, ecards, emails and more holiday festivities, there are also increased opportunities to infect users with viruses or steal their information. A post at Spyware News details some common methods used to victimize users around the holidays in the past. Here are three to watch for this year. Think about all the website you visit for the holidays. You may buy airline tickets, book a hotel and order gifts in one afternoon. You’ll also likely be checking you bank accounts during this spending spree. Unfortunately, cyber criminals know that there are millions of other people like you spending money online and they know you’re always looking for a great deal. That gives them the opportunity to make fake websites, or spoof legitimate sites like your bank, in order to infect your computer or steal your payment information. Spotting a fake site can be difficult, depending on how much time has gone into crafting it. An old version of the company’s logo, typos or a missing security step could clue you in. It’s also important to keep your browser and antivirus program updated since they can sometimes alert you to a suspicious website. Spam coming to your inbox isn’t a problem specific to the holidays, but there are some scams that attempt to use your excitement for the season against you. Many users are directed to the fake websites mentioned above after receiving an email promising a great deal or telling them they’ve won a contest. As always, following links in your email is a risky business. Be especially wary of attachments because that’s a common method for delivering malware. It sounds easy enough to not open attachments, but they’ll be labeled with something enticing that will be difficult to resist. Not everyone does all of their shopping online. There are still plenty of folks who go out to get their shopping done, but there are dangers there too. Free WiFi at department stores or coffee shops is a convenient way for you to use your smartphone while shopping, but they also allow those with a little know-how to monitor your activity and steal your information. Never make purchases or enter passwords while on a public, unsecured connection. If you are online during the holidays this year, you’re likely to encounter at least one of these tactics. Staying safe involves have an updated antivirus program installed and being cautious with your activity. If you do fall victim to one of these attacks, call Geek Rescue at 918-369-4335. Despite the inherent dangers, many users continue to use the same password over and over again for all of their online accounts. Doing so makes it significantly easier to break into those accounts and, when one account is compromised, it greatly increases the risk to other accounts as well. That issue is the reason that a recent theft of Gmail addresses and passwords could potentially lead to millions of compromised accounts. As Lucian Constantin reports for PC World, 5-million email addresses and accompanying passwords were dumped in plain text on an online forum, recently. The Gmail addresses all have a corresponding password with them, but that password isn’t necessarily the password to the user’s Google account. Instead, it’s suspected that rather than hacking Google to steal this information, cyber criminals have hacked other sites over the span of months or even years to compile this list. By hacking other sites that require an email address to register, the criminals were able to compile a list of Gmail accounts with a possible password that that user has used in the past. So, for those users who re-use passwords, an unknown number of people could now know both their Gmail address and the password they need to log into it. Thanks to Google’s all-inclusive nature of accounts, compromising an individual Gmail account could also mean compromising their Google+ page, YouTube account, Google Drive and any other Google service being used. It’s unconfirmed how many of the 5-million addresses and passwords are valid, but it’s estimated that at least 60-percent could be used successfully. That means that about 3-million Gmail users have their log-in credentials available online in plain text. Even if you don’t re-use passwords, this still seems like an ideal time to change not only your Gmail password, but also your password to other important online accounts as well. At Geek Rescue, we have the expertise to enhance security at home or at the office and on any type of internet-ready device. If you have questions or concerns regarding the security of your devices, call us at 918-369-4335. For other business solutions, visit our parent company JD Young. Google’s Chrome browser includes a number of useful features itself, but it also offers the opportunity to add features and capabilities through extensions. There are thousands of options for extensions offering a variety of functionality. Not all of these extensions are trustworthy, however. At Tech World, Jeremy Kirk reports that about 10-percent of Chrome extensions examined by security researchers were deemed either malicious or suspicious. Researchers began looking closely at extensions due to concerns that they are the next attacking point for cybercriminals because of the potentially valuable information available through compromised web browsers. After examining 48-thousand extensions, researchers found 130 that were outright malicious and another 4712 suspicious extensions. The flagged extensions were capable of various misdeeds, including affiliate fraud, credential theft, advertising fraud and social network abuse. If you’ve installed a malicious extension, you also won’t know about it right away. The extensions are designed to stay dormant until you visit a specific type of website. Even then, a typical user may not notice any malicious or suspicious behavior. Google has already reacted to these findings and is attempting to make it harder for unofficial extensions, like those found outside of their Web Store, to be installed. It’s likely more changes will be implemented soon so that Google can exert even more control over extensions. While some of the flagged extensions weren’t harmful to users, they still displayed activity that was suspicious in nature, like changing ads on a site. Some of these extensions have been downloaded millions of times. If you’ve installed any extensions from outside of Google’s Web Store, your safest option is to uninstall it immediately. If you feel your computer has been compromised and may still be infected by malware, call Geek Rescue at 918-369-4335. For your business solution needs, visit our parent company JD Young. Whether you’re attempting to secure your personal computer, or securing your company’s network, the threat of computer-related crimes is incredibly motivating. Cyber crime cost an estimated $400-billion worldwide last year according to a study released by McAfee and a Washington D.C. based think tank. That number is likely to continuously grow in the coming years. At TechWorld, Jeremy Kirk reports on these findings. 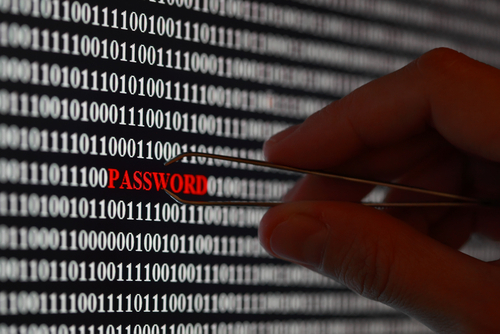 The $400-billion figure is actually on the low-end of the estimated cost of cyber crime. 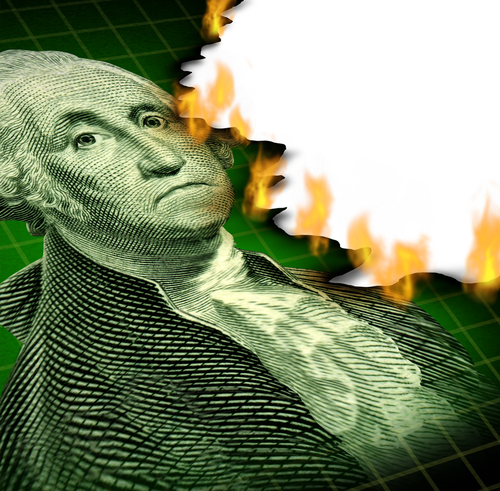 Cyber attack related costs could actually be closer to $575-billion annually. An estimate is necessary despite the study’s authors conducting in-depth research and data collection because the definition of cyber crime varies from country to country. In fact, some nations have made no effort to track and calculate the cost of this type of crime at all. In addition to these factors, many incidents and attacks go unreported and, in the case of large scale attacks on corporations, the exact cost of an attack is often never known. The cost the think tank and McAfee arrived at also factors in both the direct and indirect cost of cyber attacks. This includes the amounts spent on attempting to secure against them, as well as the cost to recover and the cost to reputation from having been a victim. Not surprisingly, businesses in the US suffered higher losses categorized as cyber crime than any other nation. As more vital business functions are moved online, these companies become even more of a target. For this reason, it’s expected that cyber attacks will cost even more in the coming years. Targeted attacks are usually launched against networks with high value and vulnerabilities that permit ease of access. While it’s impossible to be completely secure from every threat, investing in security makes it more difficult to be exploited, which makes you a less attractive target to criminals. For help improving security or to recover from an attack, call Geek Rescue at 918-369-4335. A common piece of advice is to keep applications updated, especially antivirus programs, to try to keep up with constantly evolving cyber threats. At Dark Reading, Tim Wilson reports on the recently released Websense 2014 Threat Report that finds advanced, targeted attacks are more prevalent than ever before. This means that relying on out of date malware definitions and failing to patch vulnerabilities quickly are more likely to cause users to become victims of an attack. Websense reports preventing more than 4-billion attacks in 2013. Almost all of these attacks were intelligently designed to by-pass traditional security tools and pursue confidential data. The worry is that not only are the highly targeted, advanced attacks able to fool traditional security infrastructures, but attacks considered more common and able to affect users on a large scale are also using advanced tactics to avoid detection and prevention. A common attack tactic is the use of malicious links, either on a website or included in an email. Clicking these links causes the download of malware, or directs users to phishing sites designed to steal log-in credentials or other important information. In 2013, 85-percent of these malicious links were found to be located on legitimate, trusted websites that had been compromised. This makes it exponentially more difficult to recognize and prevent this style of attack because the website being used isn’t designed as an attack site. About one-third of all malicious executable files discovered in 2013 contained custom encryption of programs designed to remotely take control of a system or mine data from it. There were also a reported 67-million exploit kits discovered throughout last year. An exploit kit is a way for developers with expertise to design an attack and sell it to others to be easily customized and launched at the target of their choosing. These kits make it easier for more criminals to launch an attack because it only takes money, rather than expertise. The takeaway from the Websense report is that no user is safe. There are so many threats to your safety, you’re bound to run into one eventually. This report also speaks to the importance of being proactive in your security. Update and patch often and be looking for new ways to protect your network. For help improving the security of your network at home or at the office, or for help recovering from an attack, call Geek Rescue at 918-369-4335. 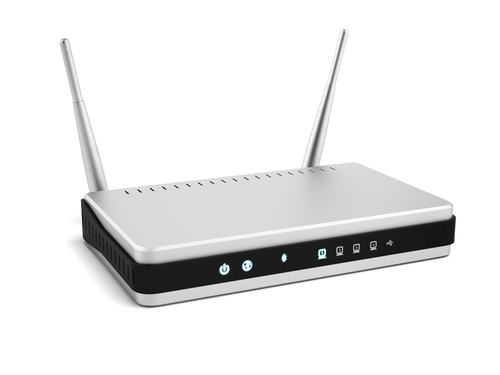 Over the past few months, wireless routers have become more of a target for attacks and more vulnerabilities have surfaced. Attacks on routers can be extremely costly as hackers could gain access to any data you are sending out or receiving and could even gain access to information stored on your hard drive. Seth Rosenblatt of CNet reports that vulnerabilities in Asus routers have put those users particularly at risk. There are nearly a dozen Asus routers vulnerable to active attacks. Hackers are able to exploit this vulnerability to gain access to access data stored on networked drives. If you’re using the cloud storage options included with Asus routers, there’s a good chance that criminals could gain access to anything stored there. The vulnerability was first discovered more than six-months ago, but Asus has been silent about a fix. Now, after evidence of attackers exploiting the security flaw have surfaced, Asus has released a firmware update fix. There’s still one problem, however. The update isn’t being automatically sent to all affected browsers. Instead, users have to visit the Asus site themselves and manually install the fix. Since Asus hasn’t done a good job publicizing the availability of this update, many users are still vulnerable to attacks. Experts are speaking out about the improvements needed from manufacturers in order to keep routers safe from attacks. Because there is so much to gain by launching an attack against a router, companies need to do a better job making security a priority and getting their products patched before hackers have a chance to exploit vulnerabilities. If you’re router has been attacked or your computer has been infected with malware, call Geek Rescue at 918-369-4335. Over the summer, Instagram users were warned about fruit spam, which consisted of images of fruit being uploaded to the social network that directed users to malicious websites. As Satnam Narang of Symantec reports, fruit spam has migrated to Snapchat, but still poses a danger to users. The problem is not quite as simple as ignoring images sent using Snapchat that feature fruit or fruit based drinks. This Snapchat spam acts similarly to many email spam problems in that it infects a user, then sends spam to all of their contacts. In the past, Snapchat spam originated from fake accounts and was much easier to spot. Now, a trusted contact may be the one spamming you. The Snaps urge users to visit frootsnap.com or snapfroot.com for the recipes of the drinks being shown. Instead, users land on a page made to look like a GroupOn product page that offers free diet pills. Users that attempt to buy the pills are directed to yet another website, which has been associated with excessive and fraudulent charges. Unfortunately, the root of the problem has yet to be uncovered. It does not appear that users who click on the spam images are infected themselves, which means there is some other method for accounts to be hacked and spam sent from them. 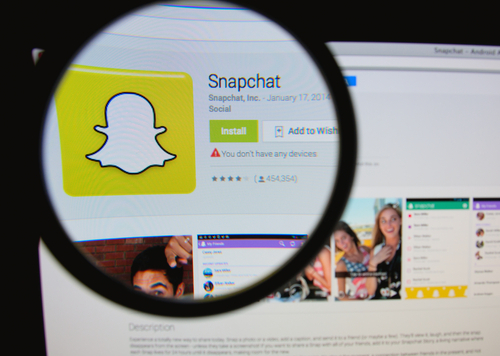 Snapchat has released a statement saying that increased security measures have been taken and advise that users change and improve the strength of their passwords. While changing passwords seems to stop the spam originating from an account, deleting the app from your device does not. Often, these types of scams originate from a malware infection. If you have a device that’s been infected with malware, or is just acting strangely, come by Geek Rescue or call us at 918-369-4335. One of the biggest mistakes made in security by local businesses is a belief that they won’t be targeted in an attack because they have less to offer than larger enterprises. That mistake leads to weak security, which attracts attacks and leaves you susceptible to untargeted attacks. Take the latest news of a Cryptolocker victim for example. John E. Dunn of CIO reports that a local law firm in Charlotte recently lost critical data after Cryptolocker infected their network. Cryptolocker found its way on the law firms computers after an email and its malicious attachment were mistakenly opened. An employee believed the email was from the firm’s phone answering service. After that, Cryptolocker couldn’t be stopped from encrypting thousands of legal documents critical to the law firm’s operations. The nature of law firms makes them enticing targets for Cryptolocker and similar attacks because they can’t afford to lose access to their documents. Any business with money to spend, but no time to waste is likely to pay the ransom associated with decrypting files. In the case of the Charlotte law firm, their IT team first attempted to unlock the files and work around the malware. When their efforts were unsuccessful, the firm attempted to pay the $300 ransom, but they were informed that the deadline had past and the files were permanently locked. The law firm notes that had an attack stolen the important documents, rather than only encrypting them, the damage could’ve been much worse. Still, they lost access to every file stored on their main server, which prevents them from serving many of their clients. For any size business, it’s important to educate employees about this type of threat in order to avoid infection in the first place. Regular back-ups of files will also save you from a disastrous loss of data. Small business owners need to stop believing that an attack of this nature will never happen to them. 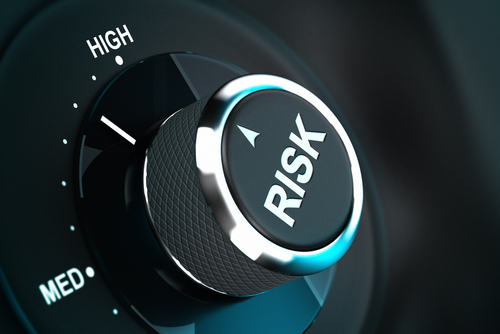 Malware infections are costly to any business and statistically just as likely to strike small, local companies as they are large enterprises. For help improving the security at your business, or for help recovering from a malware infection, call Geek Rescue at 918-369-4335. 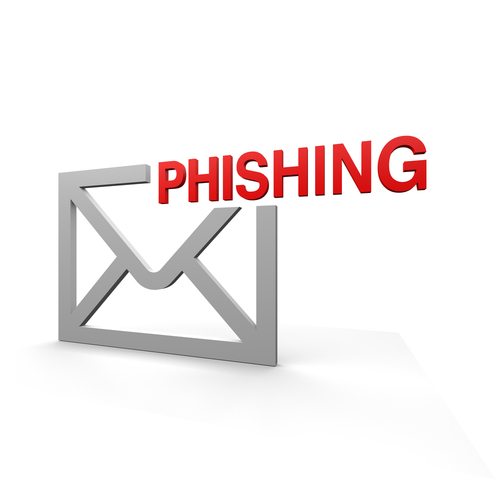 Phishing attacks come through most of our emails on a daily basis. Thankfully, spam filters and other security measures keep us from having to regularly deal with them, but because criminals are always making these attacks more intelligent, some attacks do find their way to our inbox. Some are difficult to ignore since they capitalize on the latest news to make their message more believable. For example, the latest high-profile attacks on Target, Adobe and Snapchat are now being used by hackers as an excuse for why users need to divulge their information. As David King of IT Manager Daily writes, there are ways to protect yourself from these phishing scams. Here are the most important tactics to know. Because each message is being crafted to fool users into thinking it’s legitimate, you can’t afford to trust any message you receive. Even messages from companies you have an account with that contain official looking logos can be spam or phishing scams. Checking the email address of the sender is effective for many messages. Often, a message claiming to be from a legitimate company is sent from an email address not associated with that business. But, criminals have started to overcome that hurdle also. Even emails that come from someone in your contacts list could be malicious. So, before downloading anything or responding with important information, ask yourself why the sender of the message would be taking these actions. If it seems at all suspicious, call the sender directly and ask about the email. Or, visit the company’s website and find a more direct way to send them information. Usually, it’s safe to assume that any legitimate business won’t ask for your financial information over email. Malicious files sent as attachments are a common way to convince users to download malware. Many users will even be suspicious of an email, but download the attachment in an attempt to gain more context as to what the message is about. Downloading and opening these files infects your computer. Don’t let your curiosity get the best of you. If a message seems suspicious, don’t visit any links included in it or download any files attached. Even if the message seems legitimate, don’t download a file unless you know exactly what it is. A good rule of thumb is if you aren’t expecting a file to be emailed to you, don’t download one. Unfortunately, even the most intelligent users fall prey to phishing scams and malware infections. Even if you never download attachments, visit suspect websites or open suspicious emails, malware can still find its way onto your system. It’s better to plan for this event and never need the security provisions than to be caught without it. Be sure you have a trusted antivirus program in place and keep it regularly updated so it can recognize the latest threats. Update all of your applications and your operating system also to close potential security vulnerabilities. Phishing scams allow hackers to infect your computer and steal important information. Follow these tips to keep yourself, and you identity safe. If your computer is infected with malware or you’d like to improve the security on your network, call Geek Rescue at 918-369-4335. Ransomware is malware that takes control of a user’s computer and demands a payment to decrypt files. 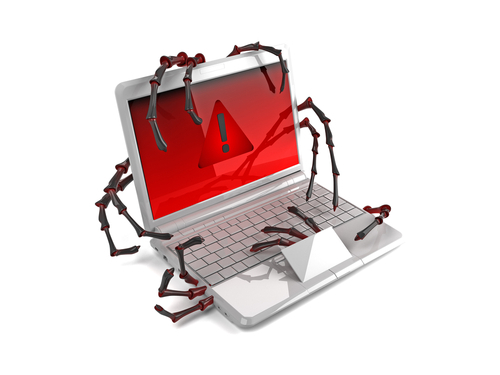 The most famous example of malware is currently Cryptolocker, which first began infecting users last fall. Since then, similar forms of ransomware have been springing up more and more, like the copycat Cryptolocker that targets P2P users. Danielle Walker of SC Magazine reports that the latest form of ransomware hasn’t yet been released, but is expected to be even more dangerous than Cryptolocker. The name of the new malware is Prison Locker or Power Locker. Security experts first learned of its existence by monitoring underground forums where hackers gather to produce and sell their malware. Prison Locker performs similarly to other ransomware. When a user is infected, a display window opens that can’t be exited. Other functions of Windows are disabled, as well as the user’s Escape key, Task Manager and Control-Alt-Delete. A user is locked out of their own computer and told they have to pay to regain control. While they’re locked out, files are also encrypted making it impossible for users to access their own data. The reason many are calling Prison Locker and bigger threat than Cryptolocker is its use of more complex encryption. Prison Locker uses multiple encryption levels. The first of them, called BlowFish, generates a new key for each file it encrypts. That means it has to be broken, or decrypted, one file at a time. In addition, each BlowFish key is encrypted through another method with a unique key for each computer infected. All of this encryption is perceived to be “unbreakable”. The current asking price for Prison Locker is $100, which suggests it will be widely used soon. The other takeaway from these reports is that ransomware is on the rise. Because of its invasive nature and the ability to directly profit off of each infection, criminals will be using ransomware more often and producing more throughout 2014. If your computer is infected with any type of malware, call Geek Rescue at 918-369-4335 for help.